Smarter collaboration and a look at our future workplace dominated discussions throughout the two day event. Those who attended had access to over 100 exhibitors and 87 speaking sessions offering insights into how to accelerate their UC strategies as well as cyber security advice in the run up to GDPR. Snorre Kjesbu, VP/GM of Cisco Collaboration Endpoints Technology Group kicked off day one with a keynote delving into the next evolution of collaboration technology, educating attendees on how it can accelerate productivity, how to enable better decision making and how to build trust in a rapidly changing market. Security around UC&C was top of mind too as Chris Hadnagy “Chief Human Hacker” of Social-Engineer LLC provided the opening keynote on day two, giving a firm warning about the threat of social engineering within organisations. Other highlights from UC EXPO 2018 included sessions from Dr Nicola Millard of BT Global Services Innovation Team, who provided delegates with a study of collaboration conundrums; Tom Arbuthnot of Modality Systems, who dug into collaboration in the future with Office 365; Michael Affronti of Fuze, who unveiled the company’s latest research into the workforce of the future; Blair Pleasant of COMMFusion, who educated attendees on how to drive end user adoption of unified communications and collaboration solutions and Ric Harvey of Amazon Web Services, who covered how to serve customers with AI from the cloud. Unified communications and collaboration technology has changed the way we work and is creating a modern workplace that allows for dynamic, productive and collaborative workforces. As the technology progresses and strategies evolve UC EXPO will be there as a platform for the industry. 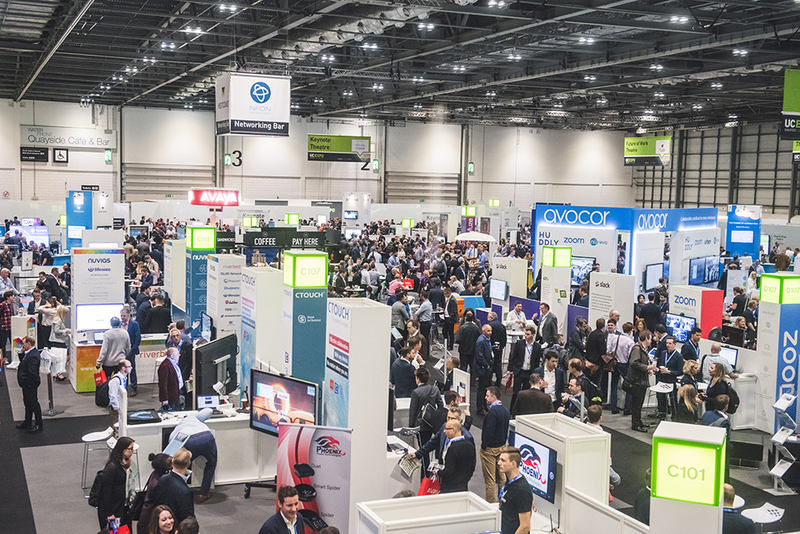 UC EXPO will return to ExCeL London on the 15th and 16th May 2019 and will be co-located with a new event, Customer Contact X. Customer Contact X will focus on helping businesses evaluate, source and buy technologies to digitally transform their customer contact centres. Together, UC EXPO and Customer Contact X will provide attendees with business technology decision makers as well as the IT technology enablers with a complete view of the vendors supplying the customer contact centre market and the trends impacting it. For more information, please visit www.ucexpo.com, or get involved on Twitter following @UCEXPO or the #UCEXPO hashtag. UC EXPO is Europe’s largest unified communications & collaboration (UC&C) event, for those looking to find out how the latest unified communications can drive and support their business. The event showcases brand new exclusive content and senior level insights from across the industry. UC EXPO, together with and the world’s largest UC&C LinkedIn group delivers news, insight and knowledge throughout the year. Attending UC EXPO will help to ensure business decisions are made based on the latest best practice for improved communications and collaboration whilst allowing organisations to continue or start their journey in enabling workforce mobility. In 2019 UC EXPO will be co-located with Customer Contact X.